Good morning, and welcome to Summit Up, the world’s only daily column overhearing talk of snow wherever we go.We just had to smile to ourselves the other day as we walked through the post office and overheard two grown men, in their late 50s, talking about the amount of snowfall we’ve had. They were as excited as Florida kids rolling a snowman in their backyard. We were especially grateful because we had just taken a few runs at the Basin, where the parking lot was nearly bare and we were just steps from the chairlift (as opposed to a long walk through an entire manufactured village).We do have to admit that our rosy outlook on our small-town dealings came to a temporary halt when we stood in line at the post office and waited for servers who obviously missed the memo that the holiday rush is on, and so they should maybe, um, pick up the pace. But their friendly and relaxed disposition was a bit contagious; we especially noticed it when we ran our next errand: The all-important lunch break before work. We went to one of our favorite spots that always has a line, and, as such, usually has rushed employees. The difference in speed between the government workers and the private industry was night and day, and, quite honestly, the breakneck pace sort of stressed us out. Our idea of a souvenir from a vacation is a keychain, not the actual keys to a ridiculously expensive vehicle. Until the labor department pointed out that trust-funders abound even in our neck of the woods, we just tossed the press releases in the recycle bin, figuring no one would ever dream of doing such a thing. 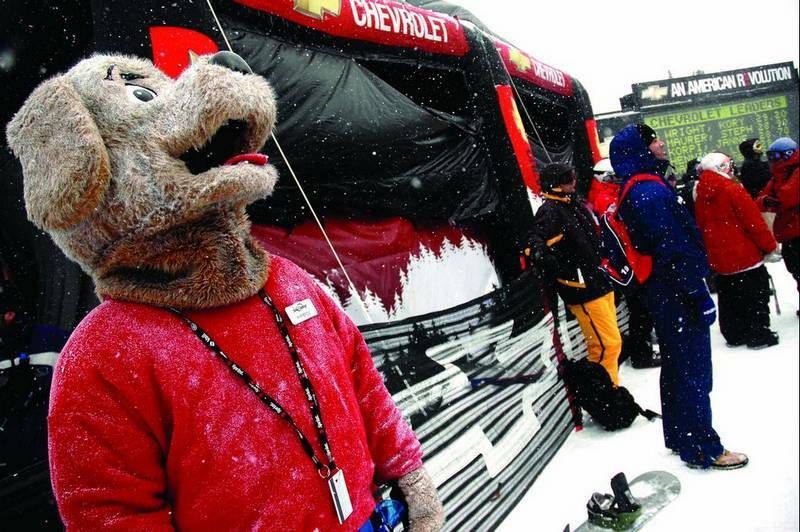 Now we actually have reason to get a little jealous, as we sit typing into our big orange computer wearing bib ski pants from 1990.The labor department also tells us that tourism makes up 60 percent of Summit’s economy, as compared to nonresort areas statewide, where it makes up 10 percent. So the next time those Texans are driving down the Dam Road at 20 mph or blocking the frozen food aisle, remember who’s paying your wage.And, speaking of working, it turns out that Wednesdays are the most dangerous days to show up. A Colorado Department of Public Health and Environment study concluded that fatal injuries in 2004 were most likely to occur between 2 and 3 p.m. on a Wednesday. So we suggest you take the day off and go hump, or at least go make some turns through the bumps.